My son wanted to take a photo while we were at the Mall Of America, this was his submission to the Twin Cities Daily Photo. 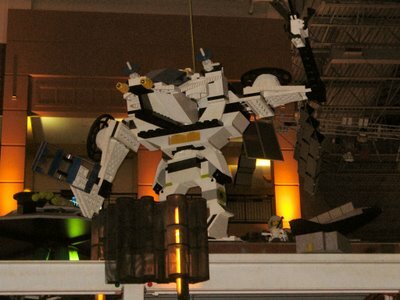 This is one of the Lego creatures that are all around this area. Welcome, Singer Junior! Good job. I'm sure your son had a blast! This one looks fascinating!